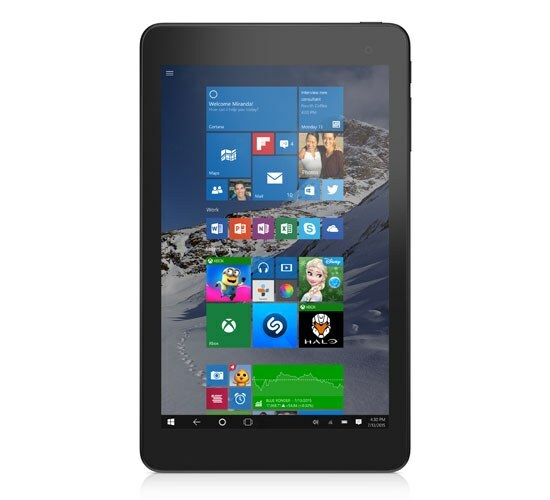 There’s been a lot of buzz about commercial tablets and 2-in-1s during the past couple of weeks. We helped generate a lot of it when we announced our agreement with Microsoft to sell and service Surface Pro tablets through our global commercial sales and support organization. That news was followed the next day by Apple’s introduction of the iPad Pro. Seemingly overnight, the industry became awash in articles debating which type of mobility solution companies should consider during their next product refresh cycle. Yes, shiny new devices generate plenty of excitement. Smaller, faster and sleek design is something we’re certainly proud to offer at Dell as well (I’ll discuss more on that below), but as any CIO or IT administrator will tell you, there’s so much more to consider than just aesthetics, display size or battery life when selecting mobile devices for commercial use. One-stop Solution – The addition of Surface Pro tablets to our portfolio merges the world’s No.1 and No.2 commercial tablet suppliers (source: IDC) under one roof. 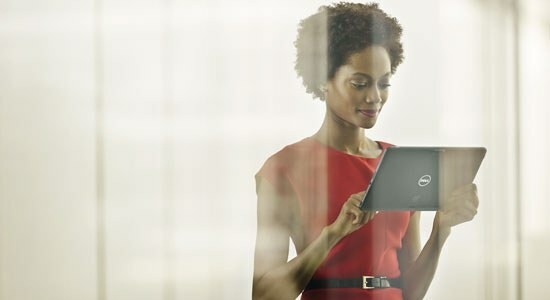 Dell now offers the world’s most comprehensive selection of Windows-based tablets and 2-in-1s providing customers with a single source for meeting their mobile hardware, deployment and support needs globally. Only Dell can do this! Global Support – Dell ProSupport Plus for PCs and Tablets, enabled by our SupportAssist technology, is unmatched in the industry. In fact, our customers have made this the fastest growing service in Dell history. With the solution they’re spending up to 84 percent less time on technical support calls and taking up to 58 percent fewer steps to resolve common hardware issues vs key competitors, lessening the burden on IT professionals by significantly reducing day-to-day administrative tasks. Security – Dell delivers the world’s most secure commercial products and our end-to-end client security solutions are designed to meet the stringent security needs of commercial customers. Keep in mind that many of our competitors’ recently announced alliances and commercial offerings are still untested. Your network’s security isn’t something you want offered up as an experiment. Manageability – Whether customers choose to deploy 10 or 10,000 new mobile products, each of the devices need to fit seamlessly within the existing infrastructure. Dell’s KACE architecture platform helps ensure smooth integration through benefits such as desktop virtualization, user state migration, compliance and reporting, user environment management, and vulnerability scanning. Windows 10 – Most of today’s commercial applications are designed for Windows-based platforms and just about every organization has several legacy apps they need to continue using in the future as well. At Dell, we’re experts in managed transitions, helping all our customers make a smooth transition to Windows 10, through our innovative Support solutions and through our team of highly experienced PC deployment project managers and a unique, cloud-based deployment tracking system that has helped deploy more than a million PCs every year for Dell customers around the globe. We’ve been working with Microsoft on the development of Windows 10 for the past couple of years, and we will be at the helm of accelerating Windows 10 into the commercial space so customers can leverage the great new capabilities such as Universal Apps, the new Edge browser and Continuum. Now, let’s address devices. First and foremost, there’s no such thing as a single device that can meet the diverse computing needs of every employee in a medium to large organization. When you factor in the wide variety of job functions, software applications, 24/7/365 uptime requirements, shrinking budgets and individual preferences, the vast majority of companies will continue to be multi-device environments, and that isn’t changing anytime soon. With that in mind, we’ve structured our mobile computing portfolio based on two distinct customer needs. Mobile Productivity: These devices are used by highly mobile workers who need tablets or 2-in-1s that deliver levels of productivity offered by traditional laptops (and by the way, there’s still plenty of demand for those). These devices have the processing power and screen size to handle more demanding software applications and accomplish intensive work. For Dell, these devices include the Venue 11 Pro, Latitude 2-in-1 and now the Surface Pro. And watch this space, because soon we will be introducing the next generation of the popular Venue 11 Pro and other 2-in-1s that will take mobile productivity capabilities to a whole new level. Application-Driven Tablets: These are purpose-built devices designed to meet specific customer use cases. We have customers in several vertical industries such as education, healthcare and retail who are using Dell Venue tablets to run purpose-built software applications for things such as point-of-sale payment tablets, plug-and-play consoles, vendor inventory tracking, coupon kiosks and digital signage. 2×2 Wi-Fi, LTE and optional NFC so workers can stay connected. And remember, mobility is about great devices that are bundled with the software, service and partnerships together that help customers solve their biggest business issues. At Dell we’re committed to providing greater value to our commercial customers through more effective and symbiotic solutions. 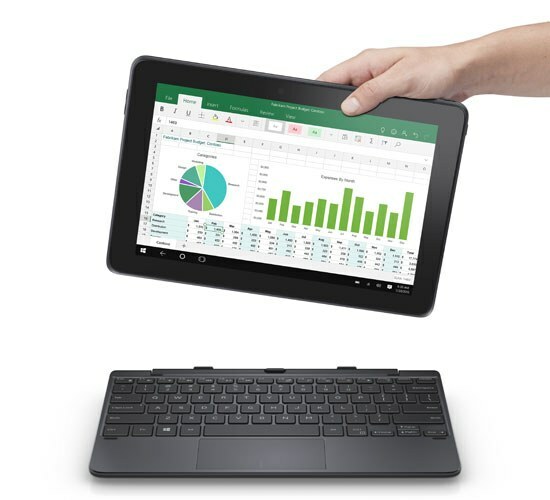 By providing the industry’s most comprehensive selection of tablets and 2-in-1s, coupled with our world-class end-to-end services and support that many businesses require, we think we’ve assembled a truly unique offering that our customers can leverage to truly maximize the productivity of their mobile teams. Can't wait for the new V8P!